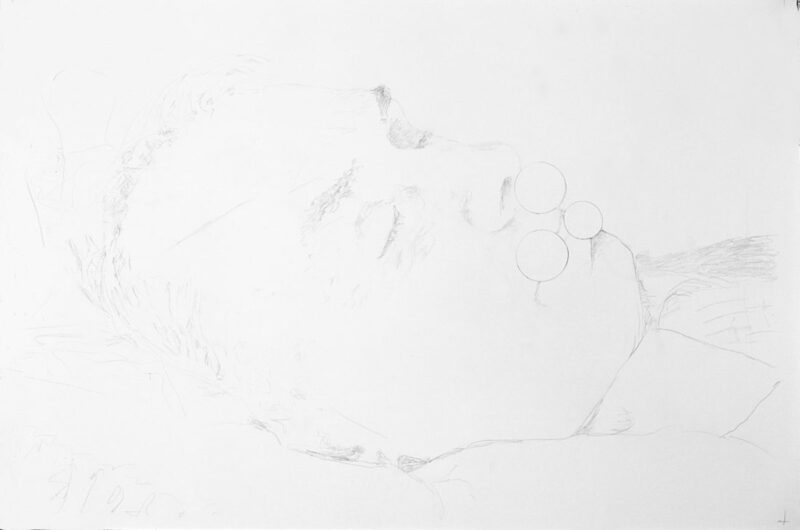 A series of drawings in pencil made after post-mortem photographs of the artist’s father. The drawings came about from a process of trying to ‘correct’ the discrepancy between the photographic image and the artist’s memory of the facial features. This developed into a process of selective erasure of the pencil drawing and subsequently in cutting out circular area’s of the paper. These drawings were first exhibited as part of the solo project general-specific at the Project Arts Centre, Dublin in 2003. Subsequently the paper disks cut from the drawings featured as a prop in the slide projection work Sequences, Scenarios & Locations Part I, After Hansel and Gretel. The drawings and this slide work were exhibited together at the Galway Arts Centre solo exhibition in 2004.